Beatles FAQ: When did Beatlemania begin? What was it like? When did Beatlemania begin? What was it like? Beatlemania in the UK spread with astonishing rapidity. The first time Scottish concert promoter Andi Lothian booked the Beatles, in the frozen January of 1963, only 15 people showed up. When they returned to Glasgow Odeon on the on 5 October they were faced with scenes of mass hysteria. The night almost unravelled when nervous local police insisted Lothian bring the Beatles on early to satisfy rowdily impatient fans, even though his bouncers were still in the pub. "The girls were beginning to overwhelm us," remembers Lothian. "I saw one of them almost getting to Ringo's drumkit and then I saw 40 drunk bouncers tearing down the aisles. It was absolute pandemonium. Girls fainting, screaming, wet seats. The whole hall went into some kind of state, almost like collective hypnotism. I'd never seen anything like it." What was the tipping point for Beatlemania? 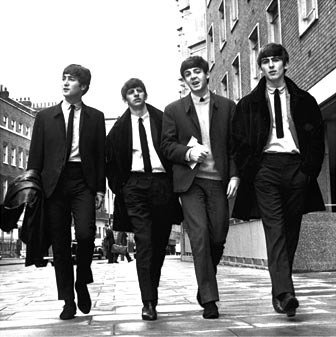 The first national newspaper Beatlemania headlines came after an April 18 performance at the Albert Hall. Momentum continued to build over the summer. In August The Beatles played a their final gig at the Cavern but it was dangerously apparent that they had massively outgrown such venues.